The concept of Optical Character Recognition (OCR), or transforming an image of printed text into a text code, has been around, in one form or another, for a good 200 years. Back in 1850s inventors began bombarding the patent offices with schemes for a machine that could read. However, it wasn’t until the 1950s and the burgeoning of the computer industry that OCR technology really took hold with its applications to data entry. In 1951 American inventor David Shepard, built the first optical character recognition (OCR) system, called "Gismo", in his spare time. 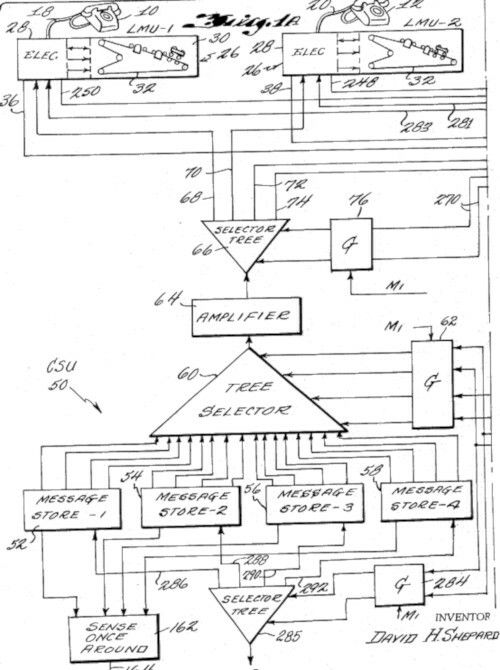 Gismo was a machine (later called the "Analyzing Reader") to convert printed messages into machine language for processing by computer. Shepard and a mechanically inclined colleague of him, Harvey Cook Jr., started their work on the device in early 1950 in the attic of Shepard’s home in Arlington, Va. They spent almost a year and some $4000 and in December 1950 came down with what they called Gismo, a machine that could recognize 23 letters of the alphabet as produced by a standard typewriter. After another year’s work and more investment, they had developed an improved machine, that could recognize all 26 characters. Shepard filed a patent application for his Apparatus for Reading on 1 March 1951, and the patent (see US patent 2663758) was granted on 22 Dec 1953. In 1952 Shepard together with William Lawless Jr. (a colleague from his wartime work in Armed Forces Security Agency, who later held key positions in IBM) formed Intelligent Machines Research Co. (IMR) in Arlington, Virginia, to commercialize the invention. The company developed and sold the first dozen optical-character-recognition systems to companies like AT&T, First National City Bank, Reader’s Digest and most major oil companies and banks. 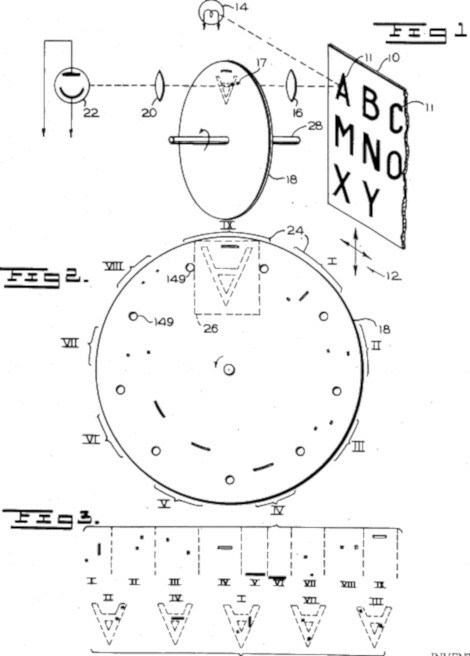 The patent application (see the upper drawing) described a reading apparatus arranged to sense printed characters, punched openings and the like and to recognize the identity of particular characters or other items passing before the sensing means, so that these items may be reproduced in various forms of coding. For example, the invention may be embodied in a machine which will scan a printed page such as typewritten page and produce signals which will serve to interpret each character into any desired coding and medium for use at local or remote stations. IBM obtained a license on IMR's patents in 1953 and in 1955 contracted with IMR (for a 5 percent royalty) to build a developmental system, named Scandex, which was able to read constrained hand printed numeric characters. However, IBM did not market this system. In 1959 IBM did market a system of its own, classifying it as an Optical Character Recognition (OCR) system, and the term OCR from then on has been standard in the industry for this technology. Gismo was scanning the serial numbers and the denominations on travelers' checks. It then will record what it has read on a mechanical card punching machine. The checks were read at the rate of 100 per minute, using a photoelectric eye. It scans each letter and matches its impression with its built-in memory. Later Shepard developed a more accurate method of optical character recognition using lasers. In the middle 1950s, while in cocktail party at the Waldorf-Astoria Hotel in New York, Shepard designed on his napkin a font, suitable for clear transmission using the early knuckle-buster analog card processing devices of the mid-century. In 1959 Farrington Manufacturing Co. (a leading company in the credit card business at that time, and IMR's best customer), acquired IMR (the deal made IMR a subsidiary of Farrington and Shepard became Farrington’s largest shareholder), and the numeric font designed by Shepard, called Farrington 7B (see the sample below), has been standard for most of the well known credit cards since that time, and can be seen on the face of just about every bank card today. 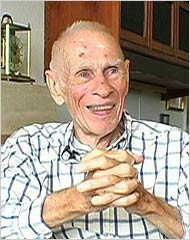 In 1962 Shepard left Farrington and founded Cognitronics Corporation. 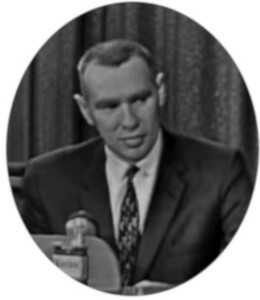 In 1963 he filed a patent application for a Conversation Machine, which was the first to provide telephone interactive voice response access to computer stored data using speech recognition. The patent was granted in 1967 (see US patent 3300586). The invention (see the lower patent drawing) relates to equipment for conversing with at least one person whose verbal statements are received by the equipment over an electrical line, which also carries the appropriate machine messages back to that person. It is especially useful with a telephone system, and in inventory systems, or in systems where it is necessary to determine whether a certain part has even been made or used by the company for any purpose. The device has a central storage unit which stores a plurality of predetermined messages that are selected in accordance with the last understood statement and readout to the person who initiated that statement. To effect this operation of the equipment, a memory unit is employed for purposes of control and programming. The overall control system includes that memory which in the detailed embodiment includes a magnetic drum, along with registers for keeping track of the last message readout, the drum position, and the next message to be readout. The determination of that next message is based upon the contents of the last message readout in conjunction with the statement provided to the equipment by the person on the other end of the line in response to that last message. The program is prerecorded on a track of a drum and by using the combination of the last message and statement or answer thereto, the correct position of the drum is selected for readout for the next message designation. The patent was later implemented in the machine Cognitronics Speechmaker in various models (see the upper photo). These are designed to provide a direct and extremely flexible means of machine-to-man audio communications. Vocabularies of a fixed number of words or combinations of words and phrases are stored in the Speechmaker and, on command, spoken back singularly or in any group sequence, providing a multiplexing capability and design flexibility. Vocabulary film drums are readily interchangeable. Who was the inventor David Shepard? 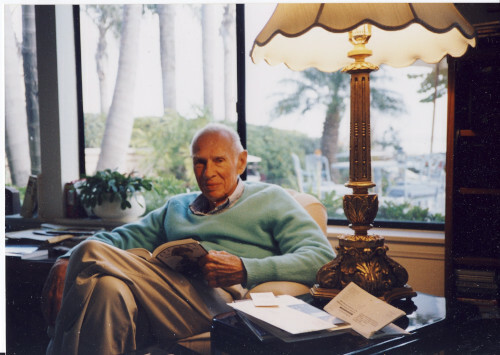 David Hammond Shepard was born on 30 September 1923, in Milwaukee, Wis., to Leonard Griffin Shepard II (1881–1927), and Elizabeth Strong Hammond Shepard (1890–1935). Leonard Griffin Shepard II was the son of Capt. Leonard Griffin Shepard (1846-1895), the first Commandant of the US Coast Guard. He died in April 1927, leaving his wife and two sons: Leonard Griffin Shepard III (born in 1921), and David Hammond Shepard. Sadly, Elizabeth Shepard also died young, in 1935, so David was raised in Evanston, Ill., under guardianship of his uncle Laurens Hammond (the younger brother of his mother). Laurens Hammond (1895–1973), was a prominent American engineer and inventor, the creator of the Hammond organ, the Hammond clock, and the world's first polyphonic musical synthesizer, the Novachord. Certainly David Shepard got his inspiration from Laurens Hammond. In 1941 David Shepard graduated from the Lenox School in Lenox, Mass., then entered the US Army during World War II, working for the AFSA (Armed Forces Security Agency, now National Security Agency, NSA) on cryptanalysis, breaking military codes. He was in a team that used statistical analysis to help break Japanese, French and Russian codes. After the war he earned a bachelor's degree in electrical engineering at Cornell University in 1945 and master's degree in mathematics at the University of Michigan in 1947. Shepard had quite a few ideas, that seemed to be several decades ahead of their time. In the 1950s, trying to sell grocery store chains on a bar-code system he had developed, he told them that every item in the store could have a bar code that could be read and that eventually, people would have push-button telephones to punch in the numbers of the items they wanted. Clerks could then bag the items and have them waiting for customers at the store. Store managers thought he was just another crazy inventor and told him he should go home. Shepard's last project, which he developed for some 25 years, was finding a way to harness wind power several kilometers above the Earth's surface. He hoped to have giant rotors stationed above the Earth that would capture the high-altitude winds and transmit energy to the surface. David Shepard was a prolific inventor, as he held 29 patents. David Shepard's first wife, Elaine Raiss Shepard (1925-1973), died on 4 Feb 1973. He married second time to Joyce Ralph Allen Shepard (1923-2014), a lifelong violin performer and teacher. David Shepard had five children, and guess what is the name of his first-born son? You bet—Leonard Griffin Shepard (IV)! David Hammond Shepard died of bronchiectasis on 24 November, 2007, in San Diego.